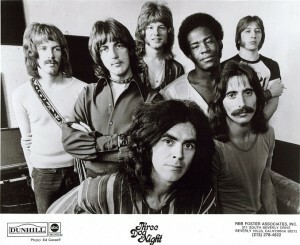 Three Dog Night was a band that essentially consisted of three vocalists, Danny Hutton, Chuck Negron, and Cory Wells, and four musicians, Michael Alsup on guitar, Floyd Sneed on drums, Joe Schermie on bass, and Jimmy Greenspoon on keyboards, seven separate fools as we would later discover. Performing for the most part other peoples songs, the band, named after the number of wild dogs it took to keep yourself warm if you happened to find yourself stuck overnight in the Australian Outback on a cold winters evening, and who hasn’t, was the quintessential Classic Rock cover band before the term “Classic Rock” even existed. Naturally, was the band’s fourth album and had a more of a distinctive rock feel to it than its predecessors, which is not an overly bold statement since their prior release It Ain’t Easy while it did feature the James Gang classic “Woman” also included quite possibly the worst version of “Your Song” ever recorded, a song that appeared on this album several months before Elton John’s own recording was released. The songwriting talent on this effort was once again stellar in every sense of the word with credits going to Jesse Colin Young, Steve Winwood, Ray Stevens, Syreeta Wright, as well as Russ Ballard who wrote “Liar,” a song that many consider to be the best nugget on the album. The shame of this album is that there are some real fine songs here that got list in the glitter, glam, and the hype of the hits “Liar,” “One Man Band,” and “Joy to the World.” The organ drenched “I’ll Be Creeping” and the instrumental number, “Fire Eater” could have been a featured song on any Steve Marriott Humble Pie album, and “Heavy Church,” a song that much like “One Man Band” really pushed the Cory/Danny/Chuck vocals front and center, demonstrates what Three Dog Night was really about, three guys singing the hell out of other peoples songs. 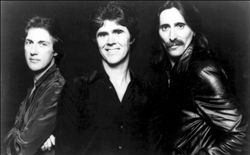 If this album would have ended with song number nine, the gospel tinged number, “I’ve Got Enough Heartache,” Naturally would have been a very fine album, a sterling example of the almost going over the top 70’s U.S. rock formula that was making it’s rounds by way of Grand Funk, Steppenwolf, and The James Gang, and would have been a record that most likely would have held up over the decades. And then the wheels fell off. Don’t get me wrong, “Joy to the World” is a wonderful song. I still don’t know what it is about, or what substances Hoyt Axton was digesting when he wrote this song, but I definitely know that I would love to hang out with a bullfrog named Jeremiah and help him drink his wine, after all, word on the San Francisco streets was that he always had some mighty fine wine. A great idea gone terribly wrong, “Joy to the World” of course, reached number one which dwarfed the overall Billboard slot of the album that peaked at only number 14, where “It Ain’t Easy,” with no comparable monster hit reached number 8. The song served its purpose as well, catapulting the exposure of the band, practically inventing the large audience rock concert as their tours in support of “Harmony” were among the first to be booked in the larger capacity sports stadiums increasing the gate exponentially in the process. With the good sometimes comes the bad however, and for me, song number 10 of the Album Naturally marked the beginning of the creative end for Three Dog Night, at least as a real rock band. The selection of the songs to be covered, once a creatively brilliant exercise in itself that seemed to fit my rock sensibilities to perfection, seemed to be shifting from appealing to the ears of boys rapidly speeding towards manhood, to the behind closed doors bedroom ears of teen-aged girls. 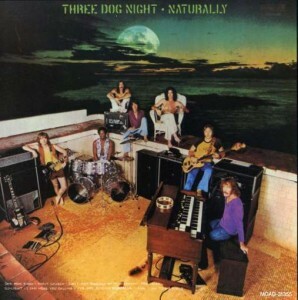 Some might argue that Three Dog Night was never a “real” rock band in the first place, and there is a definite case to be made on that front, but for my money this album was one of the last good time rock and roll albums. The times, as they say, were definitely a changin’, with the good vibes of Woodstock squarely in the rear view mirror, and the bad mojo of Altamont fresh in our collective rock consciousness, if “Joy to the World” was our one last blast of pure unbridled freedom, then so be it. It was one hell of a toga party. 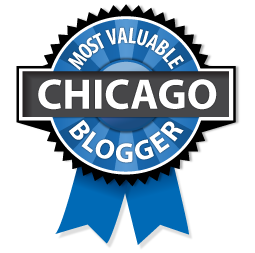 See our piece on Three Dog Night, Around the World With.. Listen to the album below on this video playlist. It contains eight songs.